You may have noticed these new products on the market aimed at those people that often take selfies for social media, make-up tutorials, online streaming from an iPhone or iPad, live streaming to YouTube and other media that requires optimal lighting. 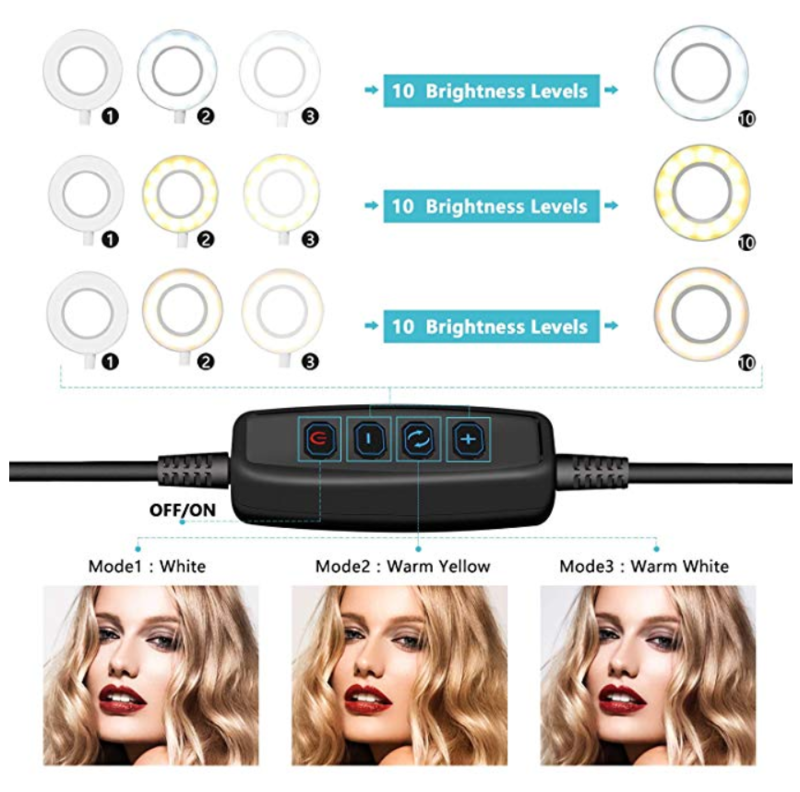 What’s great about these new selfie ring lights and tripod stands is that it allows you to get the best image or videos thanks to the fully customization for brightness, luminescence and hue. And the tripod serves the lighting well in terms of positioning the rings for the best lighting. 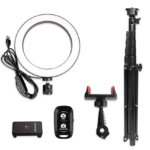 This is a review of the UBeesize Ring Light, Selfie Stick and Tripod Stand combo. The Ubeesize (weird brand name) is the best selfie stick on the market and it’s due to a couple of the main features offered with the product. First and foremost, it’s the dimmable ring lights. The UBeesize selfie stick comes with a dimmable Ring Light with three colors of lighting. Specifically white, warm yellow, and warm white allows it to work in any light or dark circustance. That’s not all, each mode has more than ten adjustable brightness to remove any problematic shadows. The second biggest draw is the adjustable tripod stand which also doubles as a selfie stick, so feel free to use as one or the other. 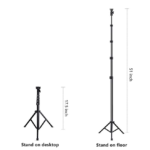 The tripod stand is adjustable and extendable anywhere from approximately 17.5 inches to 51.0 inches – that’s over four feet tall. The tripod is easy to lock in your preferred height and length. We love using the selfie stick, ring light and adjustable tripod from UBeesize when taking selfies and photos of my children. It takes absolutely beautiful photos and the set up is easy and simple. We really appreciate that this comes cordless, that the the Bluetooth remote makes things less messy when setting up the tripod for the next shoot. The remote is Android and iOS compatible so it works with my phone and my partner’s phone. The choices we have for lighting up the photo works with every situation and room, inside or outside, at any height. 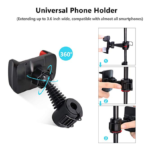 Getting the perfect photo takes on a new meaning because getting the right selfie is elevated in terms of lighting and quality with this product, it may take some trial and error, but that’s not on UBeesize’s product. 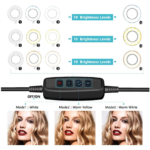 The light output of the EBeesize selfie ring light is exceptional for providing the best lighting for a variety of different uses. The core purposes stands up well; the lighting is crafted with quality with so many options to get it just right, and despite some reviews of a fragile tripod, we found that the tripod is built well and gives sturdy support. 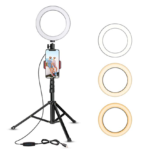 We can’t recommend this selfie tripod and ring light combination set enough, especially for the price. It’s a steal considering the quality and items you receive. You can get it from Amazon.com with the ASIN #B07GDC39Y2. 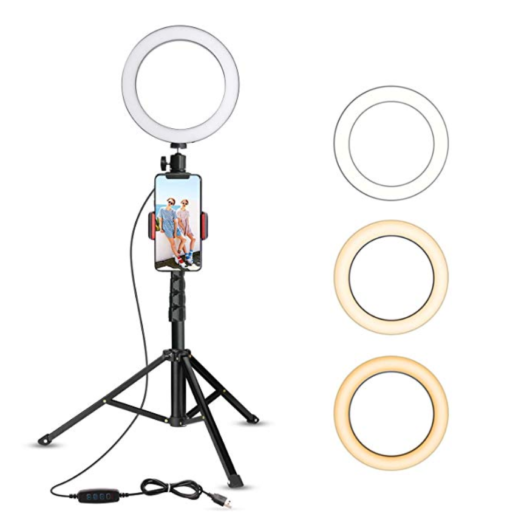 Buy the Ubeesize, 8″ Selfie Ring Light with Tripod Stand & Cell Phone Holder for Live Stream/Makeup, UBeesize Mini Led Camera Ringlight for YouTube Video/Photography Compatible with iPhone Xs Max XR Android (Upgraded) . You’ll love it.